Tell the average American person or American company about Apple Pay and they will invariably be more wary of its security than, say, Europeans. They need more convincing that it's safe and this is a direct but unfortunate consequence of how bad the current US financial transaction system is. Last year, the US accounted for 47 percent of all credit card fraud in the world. Go back one year further to 2016 and the figure was 38.7 percent. It's not that the US is getting worse, it's that other countries are doing better at making fraud harder. European and other countries have long had what are called EMV smart cards but they've only been catching on in the States since 2015. This standard was devised by Europay, MasterCard and Visa back in the early 1990s. That means it's taken two decades to be significantly adopted in the US. By comparison, Apple Pay has raced ahead. Apple Pay is a genuine solution to the same security issues that make people wary of switching to it. In typical Apple fashion, though, the company worked to deal with all the security issues behind the scenes. And it worked to produce a system that first compelled us through its ease of use. On September 9, 2014, Apple announced Apple Pay. This was at the same keynote where the iPhone 6 and the Apple Watch were revealed. Tim Cook said that Apple's ambition was to completely replace the wallet -- and by implication also the handbag. The company was to start by tackling payments which Cook reported then meant 200 million transactions every day in the US and a total of $12 billion per day. Showing an image of a credit card, he said that these transactions are: "based on this little piece of plastic. And whether it's a credit or debit card, we're totally reliant on the exposed numbers, and the outdated and vulnerable magnetic interface -- which by the way is five decades old -- and the security codes which all of us know aren't so secure." He then compared the regular way of paying by card at a store to how it now would be with Apple Pay. Cook did definitely over-sell how many steps the regular system takes but he was spot on about the speed of Apple Pay. Hold your phone near the payment machine and you're done. "It's no wonder that people have dreamed of replacing these [cards] for years," continued Cook. "But they've all failed. Why is this? It's because as it turns out most people that have worked on this, have started by focusing on a business model that was centered around their self interest instead of focusing on the consumer experience. We love this kind of problem. This is exactly what Apple does best." You can add your credit or debit card to Apple Pay and so have it available through your iPhone and Apple Watch. There's also the ability to use it on websites. Though at launch that ability to pay directly on a website was the least promoted by Apple. Far more prominent in the company's press release was the fact that the service supported cards "from the three major payment networks, American Express, MasterCard and Visa" and issued by "the most popular banks including Bank of America and Wells Fargo". There was also support in the US from retail stores such as Bloomingdale's, Duane Reade, Macy's and more. In total Apple Pay was to launch with the partners "representing 83 percent of credit card purchase volume in the US". Wherever you bought anything using Apple Pay, you were paying with your credit or debit card but the vendor never sees that. You no longer give your number, expiry date, or codes, because instead Apple Pay creates a transaction code that's unique to your device and to this specific purchase. This transaction code uses what's called the EMV Payment Tokenisation Specification. The fact that it is your device is confirmed by your using TouchID or now FaceID. Apple Pay works as advertised and it is as straightforward as Tim Cook claimed. That didn't mean it was welcomed by everyone or that it escaped critics. Writing for the New York Times, Neil Irwin claimed that Apple was overplaying the arduous difficulty of paying with your credit card. "It's a dangerous business to bet against Apple's ability to make a product that you didn't think you needed as part of your daily life. But 'Apple Pay' looks as if it may be one of those offerings that don't live up to the company's hype." Even so, Irwin acknowledged the security issues that Apple Pay improved on. Still, Apple Pay would come in from harsher treatment from another group: the retailers involved in trying to create a different payment system. Apple Pay's announcement came about two years after the creation of Merchant Customer Exchange, a company formed to create a mobile payment system called CurrentC. It was a consortium formed by some of the best-known firms in American retail such as 7-Eleven, Best Buy and Walmart. Together they reportedly then accounted for around $1 trillion per year in sales. Best Buy and Walmart stated that they would not accept Apple Pay at their stores. Others who were already using some contactless systems found that customers could already use Apple Pay on them without the stores doing anything. So CVS and Rite Aid did something: : they actively stopped Apple Pay working in their outlets. It's hard to imagine any store refusing to accept a valid form of payment but in this case the companies CVS and Rite Aid then disabled this">arguably had no choice. Their contract with the MCX consortium forbade the use of any rival system and that wasn't a big deal in 2012 when there really weren't any alternatives. Come 2014 when there was Apple Pay and CurrentC wasn't expected for another year, it became a very big deal. Big enough that eventually CurrentC simply died. It took years but in 2017 what remained of the consortium's technology was bought by JPMorgan Chase & Co.
Tim Cook had stated that other companies had failed because they put their self-interest ahead of any consideration about customers and that's what MCX did. Its aim was not to create a convenient payment system but rather to get around paying credit card fees. Rather than accepting the costs involved when a customer uses a credit card, CurrentC would take money directly from their bank accounts through an ACH transfer. There's nothing wrong with that, so long as the customer has agreed and is getting a benefit from it too. In theory the customer would have got the same convenience that Apple Pay offers, but in practice the system was a chore. You had to find the right QR code on your phone and show that to the merchant who would scan it. If you've ever held your iPhone over a card reader or wafted your Apple Watch over the turnstiles in the London Underground, you'll know how vastly better Apple Pay is. It genuinely seems that Apple started with what would benefit customers but it wasn't altruism and the company found its way to creating a gigantic benefit for itself. Every time anyone uses Apple Pay, Apple gets some money. Of course it does and so do credit card companies. While figures vary in different locations and while they are changed over time, the Financial Times reported in 2015 that Apple would take 0.15 percent of any purchase. (Article requires subscription.) By comparison, credit card companies take at least 0.65 percent. On the surface, that makes Apple Pay more attractive to retailers -- but Apple Pay is a way of storing your card on your phone. Depending on your card, your bank and quite how the transaction is done, you are effectively still paying by a card. Which means the retailers are can still be having to pay a fee to the card companies. Then Apple does also have a way of presenting the best side of a feature. 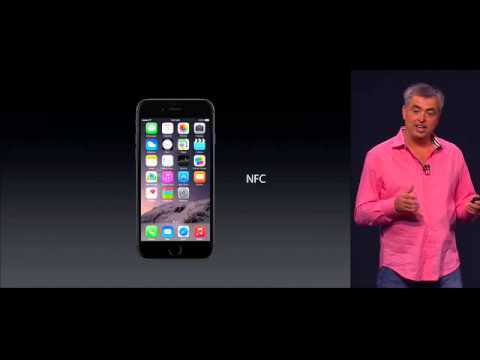 Over three slides at the launch presentation, Eddy Cue stressed how secure and private Apple Pay was. He said that Apple doesn't know what you bought, where you bought it or how much you paid. What he didn't say is that it's at least partly because Apple also doesn't care. The company gets a transaction fee and overall it gets another reason for people to buy into the Apple ecosystem of software and hardware. MCX's CurrentC was intended to handle loyalty cards and coupons, the kind of things that give stores an Apple-like way to encourage customers to stay with them. At launch, Apple Pay had none of this. This was the retail equivalent of how developers on the App Store got no information about their customers. It has changed, though. In 2017, AppleInsider reported on how US restaurant chains were able to offer loyalty cards via Apple Pay. So Apple Pay is developing as well as expanding to more and more banks, more and more countries. Years after its launch, it is still news when a new bank or credit union signs up to support Apple Pay -- or rather it is in the States. Chiefly because other countries were already moving to contactless payments, it's more common that Apple Pay just works there. In the United Kingdom, for instance, Apple Pay arrived in July 2015 and the company claimed that "over 250,000 locations will accept Apple Pay". In practice, contactless payment readers didn't see Apple Pay, they saw the cards you had stored on it and so simply worked. Consequently Apple Pay was instantly accepted just about everywhere in the UK. We're hesitating over saying definitively that it was absolutely every possible place you could pay money but it could well have been that. Which means that now, some years on from the launch, Apple Pay is just another form of payment. You do still occasionally get comments if you use it with your Apple Watch but not often. There have been some changes since Apple Pay came to the United Kingdom, though. Initially payments were limited to amounts under 30 Sterling (approximately $40 US) but that was because so were all contactless payments. Now many places will accept any amount through Apple Pay. Unfortunately, there's no way to know which these places are until you try.. There are places where Apple Pay is not available and they are significant. Right now you can't use it in India, a simply giant market, and it appears that situation won't improve any time soon. There are many issues preventing the service working there and they are a mixture of technology and financial ones. Apple is reportedly concerned about having to store customer data within the local country -- though it does this with China. And the National Payments Corporation of India is allegedly distrustful of fingerprint technology such as TouchID and would prefer people enter a passcode. Back at that 2014 launch of Apple Pay, Tim Cook said that the company's aim was to replace the wallet and that it was starting with payments. It's true that you can now -- and we regularly do -- leave home without carrying any cards at all. Except that only works if you are solely going to be paying companies like retailers. When you need to pay a friend because you're splitting the bill in a restaurant, Apple Pay is no use to you. Or rather, it wasn't. From iOS 12, you'll be able to use Apple Pay Cash to effectively send money over text message. At launch, though, this feature is only going to be available to people in the United States. Doubtlessly it will spread to other markets but for now, America has a lead on payment technology -- and it's all because of Apple. In Japan, AliPay is gaining in popularity apparently (says a recent NHK TV report) partly due to more foreign visitors from China. As Japan is large Apple market, hope some people with more awareness track this. I did not know--as you point out in your piece-- that ApplePay can do debit cards (as AppleCash does). Believe this could be an even lower cost alternative to attract more merchants and e-commerce adoption. Granted, paying with credit cards at least in US has other advantages for consumers. But if more people in Apple's prosperous ecosystem use debits for Pay, that could make difference over 1% point for merchants, right? Huge selling point! The future seems to be less skimming by financial middlemen. Look forward to an Apple and blockchain piece. 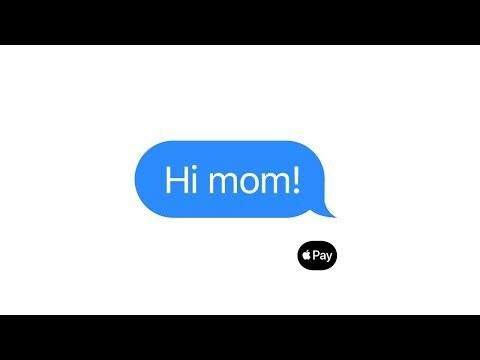 "From iOS 12, you'll be able to use Apple Pay Cash to effectively send money over text message." Apple Pay Cash has been available since iOS 11.2. Apple Pay Cash is available in iOS 11 currently. I use it wherever it’s accepted. On the web it makes payment almost painless. Yes, I had to use a debit card to set up Cash. Whereas with Pay I used a credit card. While ApplePay works great, Siri still needs to up her game in sports. Long story short, 1. in failing multiple verbal attempts today to tell me the time of the men’s US Open tennis final today, she didn’t recognize “Djokovic” or simpler clues and 2. when I finally typed in a query, she correctly named the finalists, but said they square off at 20:00. The TV time was the main point of my query. Luckily I checked ESPN schedule to see it’s not a night match, but at 16:00. Siri did the same thing with Serena’s final yesterday, got the time wrong. Would love for AI to consider making a TOP TEN questions for Siri IQ Test each year— maybe upon each new iOS release. You can do things that others can’t, and in 5 years I imagine the differences in Q&A could even be of some historical significance. Of all things, today I forgot my wallet when I went to CVS for my Rx's. But I had my phone. If you live in South East Georgia, you might realize that Apple Pay has not reach 100% penetration. We are not California or NY. But, I had my iPhone and several Cards were already registered in my iPhone. So, I was able to make 3 different purchases at CVS before I left the store. Even the staff was surprised I was able to make my purchases. CVS and others need to realize that I (we) are not going to register our credit cards & debit cards with their own App. It is not going to happen. In general, I hope their Payment Systems fail - they deserve to fail. Any company that tries to make it where Apple Pay cannot be used and the only card payment system is theirs is a loser from the start. So, I made 3 purchases CVS before I left the store without any thing except my phone. Wake up and smell the roses - If I can pay for it with my iPhone via Wallet, I will do so, otherwise, I just may not buy anything from you at all - Especially if I don't have my wallet. 3 for Apple Pay, 0 for the competition. "At launch, though, this feature is only going to be available to people in the United States. Doubtlessly it will spread to other markets but for now, America has a lead on payment technology -- and it's all because of Apple." Is this a reference to 'cash' transfers using a phone? That can already be done with apps like Twyp or Bizum. And using Siri too. Is there a difference between what those apps are doing and what the feature will offer? I hate that most places I use Apple Pay still require a signature or a PIN. 1) The saturation isn't 100% for NY or CA, either. 2) As of a week ago, a CVS near me in CA still wasn't accepting any NFC-based payments. 3) When you say you made 3 different purchases with your phone do you mean via NFC with Apple Pay? If so, when did your store start accepting it? Yes, security and safety, but you already knew that. There’s a small grocery store near me that requires a signature for anything over $25. Meanwhile, the diner next door hasn’t required a signature yet, though my bill is seldom over $40. The grocery store I frequent more doesn’t require a signature for under $150 (at minimum). I went to Costco last week, $144, no signature. I've never had to enter a PIN, but I've also never used anything but a credit card for Apple Pay. Signature requirements are definitely wonky and now standardized. Yes, security and safety, but you already know that. Mobile 'cash' payments have existed in Spain since 2016. Bizum is operated by 23 Spanish banks and the Bank of Spain is involved, but the article mentioned the 'feature' which I took to mean 'cash' payments, not the security or safety (which would be irrelevant bin this case as no cards are even in play). It's the app and the phone number and phone authentication system. In Apple Pay, Apple is the 'man in the middle' and as such gets a fee. Bizum doesn't have anyone in the middle. It's you and your bank (using standard communications technology). While ApplePay works great, Siri still needs to up her game in sports. In Australia the infrastructure i.e. pay wave cards, was already ubiquitous all over Australia, Apple Pay was a no brainer. At least for the ANZ, the other banks did that thing that banks do. Meantime a Royal Commission into the deception and greed of the banks in Australia, makes their original attempt to collude to scupper this Apple Pay malarky, risible in hindsight. The best thing apart from not needing to pull my card out to wave it, is that the phone makes that cheerful 'ding' sound and I'm already on my way instead of waiting for the POS terminal to validate. Mobile 'cash' payments have existed in Spain since 2016. Bizum is operated by 23 Spanish banks and the Bank of Spain is involved, but the article mentioned the 'feature' which I took to mean 'cash' payments, not the security or safety (which would be irrelevant bin this case as no cards are even in play). You asked what the difference was and @Soli replied “security and safety”. I’m not sure why that would be irrelevant due to no cards being in play. 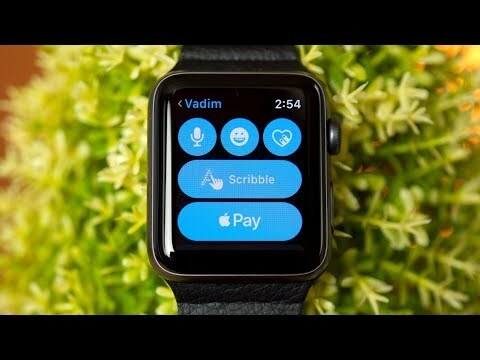 How does Bizum verify the identity of the user (Especially if it’s possible to send cash with Siri)? In Apple Pay, Apple is the 'man in the middle' and as such geets a fee. Bizum doesn't have anyone in the middle. It's you and your bank (using standard communications technology). Yes, Apple gets a cut of Apple Pay transactions. But I don’t think they do for Apple Pay Cash transactions. If I send $10 to someone $10 comes out of my account and they receive $10. There isn’t some extra charge being removed somewhere. FWIW, if I receive $10 via Apple Pay Cash I can immediately turn around and spend that same $10 using my Apple Pay Cash card in Wallet using Apple Pay. I don’t have to transfer it somewhere else, I just choose that card to make the payment. Does Bizum do that? I always get a chuckle out of the comments some people make about how using Apple Pay versus using a physical card doesn’t save any time. They clearly don’t have much/any experience using Apple Pay. Maybe standing at the terminal for an additional 15-30 seconds doesn’t seem like much to them but it does to me. When I used Apple Pay at Costco a couple weeks ago I was able to use my Apple Watch at the terminal while the items were being scanned. Then I loaded my cart as things were being scanned and when the cashier finished he handed me my receipt and I was able to walk away right then. I didn’t need to go back, pull out my card, wait for the chip to be read, sign, get my receipt and then go. It’s great and I wish I could use Apple Pay everywhere. There was a video floating about that showed that these portable FlashPay (wireless) payment terminals could be tapped against a person's wallet without them knowing and the amount would be debited from their account. And this is where Apple Pay is simply superior; it wouldn't work unless you trigger the phone/watch to payment mode.